Farce the Music: Song Premiere: Tom Irwin "Delicate Flower"
Song Premiere: Tom Irwin "Delicate Flower"
Check out the new single, "Delicate Flower," from heartland Americana singer/songwriter Tom Irwin. It's a spare, heartfelt poem of a ballad that's somehow both plaintive and positive at once. Very nice tune. 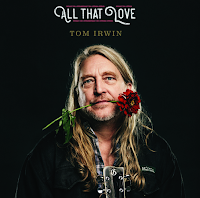 Irwin's debut LP, All That Love, was produced by Wilco's John Stirratt, who also plays on the record. For decades, Irwin has performed over 200 Midwest regional dates per year, sharing bills with Willie Nelson, Ryan Adams, Chuck Prophet, Hank Williams III & more, and was named "Best Americana Band" in 2015 in the Illinois Times Readers' Poll. 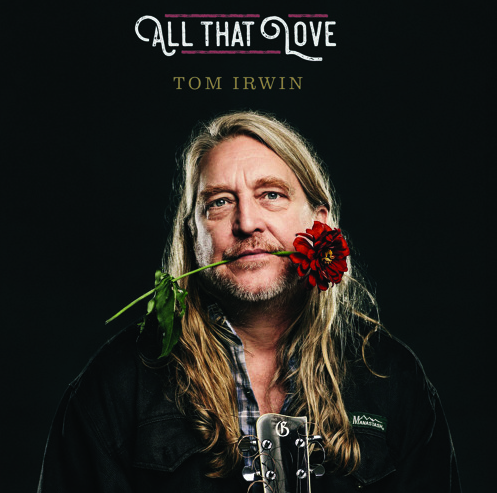 Tom Irwin is the idyllic sixth-generation Country artist, sonically answering all of Hank Williams’ and Willie Nelson’s revivalist prayers. All That Love's eleven tracks deftly blend classic Country and modern Americana, twisting decades of influence into a familiar-yet-progressive signature sound. New single, “Delicate Flower” showcases Irwin's sentimental side, with its mix of delicate, fingerpicked acoustic guitar and dreamy backup vocals that lend the track an air of comprehensive tranquility. Born a sixth-generation central Illinois resident, singer-songwriter-musician Tom Irwin, uses his long standing local roots as a sound base for a world wide view of a life in the music arts. The 50-something, guitar playing guy, called “a modern day troubadour” by John Stirratt of the Grammy-award winning rock band, Wilco, spent a lifetime making a living making music in the Midwest with occasional forays into the rest of the country. When Stirratt played a gig at the Castle in Bloomington, Illinois with Chicago rockers Candy Golde (Bun E. Carlos, Nick Tremulis and Rick Rizzo), Irwin’s group the Hayburners opened the show and caught the ear of the acclaimed bassist, vocalist, multi-instrumentalist and arranger. It took a few years of scheduling to get it all together, but the outcome of the collaboration is All That Love, the latest music collection from Irwin and one that “catches the vibe these songs needed,” according to Stirratt. The song selection on the record bridges a lifetime of writing with some tunes recently penned, a few others that were written over thirty years ago and what ever else John and Tom agreed to from the hundreds of original compositions in the prolific songwriter’s back catalog. Stirratt enlisted members of his other band The Autumn Defense, including New York City’s Greg Wieczorek, aka, G. Wiz, on drums (Norah Jones) and Chicago-based musician and owner of Lakland Music, John Pirruccello on 12-string guitar and pedal steel. The multi-talented Scott Ligon (NRBQ, the Flat Five) played an assortment of instruments including piano, organ, accordion, bass and guitar. Theresa O’Hare added flute to the title cut and Paul Von Mertens (Brian Wilson, Poi Dog Pondering) blew sax on the song, A Maybe Moon. Irwin’s hometown band, the Hayburners covered the sounds for three songs on the record with Stirratt playing bass, acoustic guitar, odd sounds and background harmonies as needed. The recording took place at Wall to Wall studios in Chicago, a downtown studio staple for 40 years that was recently demolished to make way for luxury condos. From his beginnings in music as a teenager learning Deep Purple songs with friends and Johnny Cash tunes from his dad, Irwin soaked up the deep and flowing current of American popular music. By the time he started his first band at age 14, through a run with a regionally successful, new wave band called Condition 90 in the mid-80s, the concept of music as a lifestyle was well set in place. By the late 80s, Irwin had embarked on a solo career consisting of a guitar, a voice and plenty of self-penned songs with regular independent recording releases that continues through today. Consistent regional gigs of over 200 dates a year for decades, garnered him several “Best of” awards for music in the Springfield-based, weekly newspaper Illinois Times Readers Poll, ranging from Best Folk Band in 1992 to Best Americana Band in 2015 and several Best Male Musician and Vocalist in between. In 2001 he opened up for Willie Nelson and Family at the Illinois State Fair grandstand with his band the Hired Hands to a boisterous crowd of 5,000 Willie fans. After a 20-year run of almost every Sunday night at the Brewhaus, a legendary local bar, Downtown Springfield, Inc., made Irwin the one and only recipient of a “Downtown Music Legend” award, presented for “achievement in the arts to the community at large” as a token of appreciation to his dedication to live music and original artistry in the area. During this decades-long, decorated music career, Irwin helped raise three sons to adulthood, received a Master’s of Arts in Liberal & Integrative Studies at the University of Illinois Springfield, released eight full length independent recordings and since 2000, penned Now Playing, a weekly column on local live music, for Illinois Times. Now with the new album in hand, Irwin begins the process of reaching out to a national audience through the time-honored practice of promotion and publicity, touring and traveling, but mostly through doing what he’s always done — play good songs well with a dedication to the spirit and emotion of a life based in original music and heartfelt performance.